Nicolo’s Restaurant is located in the main town square. It is one of the most famous restaurants on the island. Tuna recipes are its signature dish. 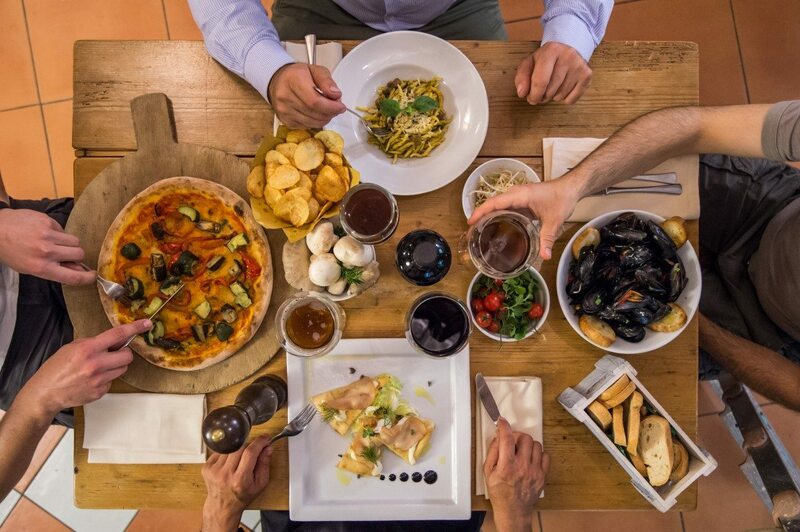 A meal at Nicolo’s is a staple for everyone visiting Carloforte. 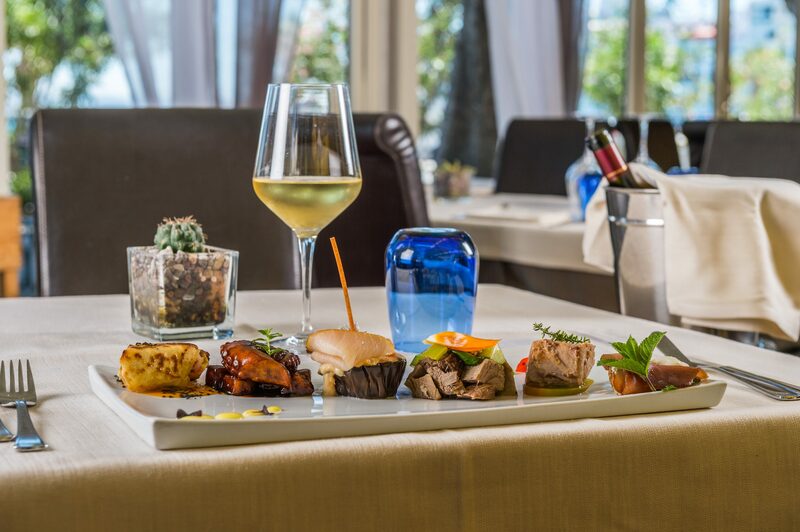 The restaurant amazes its guests with a sophisticated menu, whose high-quality ingredients and raw materials in every dish are a triumph for the palate. Each course takes you through a journey of flavors, where tuna stands out as the main ingredient. 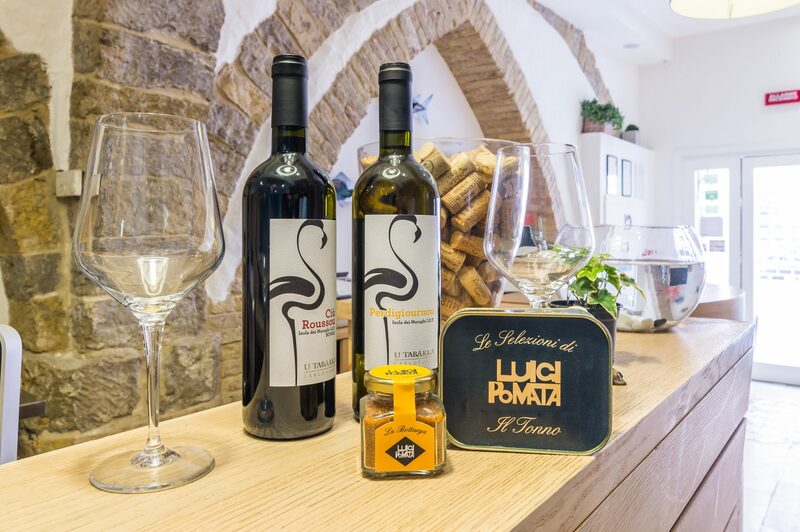 Enjoy your meal sipping a nice and refreshing glass of white wine, but leave some room for the homemade pastries and sweets, they will not let you down! The final touch is the owner, Nicolo, who welcomes both the restaurant and the hotel’s guests with his entertainer’s charm. Nichotel and Nicolo’s are indeed partners, thus the hotel’s guests are granted a discount on their lunches and dinners at Nicolo’s restaurant. Pomata Bistrot was opened to offer a wide variety of dishes to choose from, always made of prime ingredients and raw materials locally grown. This steakhouse and pizzeria is known in town for its warm and welcoming decor, featuring walls with exposed natural stone and wooden tables. Pomata Bistrot, features a high seating capacity, and always satisfies its clientele’s expectations by offering a great variety of dishes. Guests staying at Nichotel will enjoy a special discount on their dinner, as is the case at Nicolo’s.